Angelus Oaks, CA - On February 14th, a record-setting deluge in the San Bernardino Mountains caused major flash floods, which tore through fire-damaged areas. The US Forest Service noted that this is the worst flood any of them have ever seen. A week later, California Governor Gavin Newsom declared a state of emergency in 21 counties, including San Bernardino County where our camp resides. We have made several trips to our campsite, Camp River Glen, to survey the damage and each time, we discovered even more damage. The main road into Camp River Glen is inaccessible due to extensive and severe erosion. Camp River Glen itself is damaged in areas directly adjacent to the Santa Ana River where the flood was most intense, including our bridge, pump house, and water system. There is erosion to the campgrounds and trails within Camp River Glen. We estimate that total damages are in excess of $50,000. We are working with several county, state, and federal agencies to reestablish primary access to Camp River Glen. Concurrently, we will begin campsite repairs. This is where we need your help! We have 8 weeks to raise $50,000 to save the summer camp season for 1,000 campers! If you can’t give monetarily, please consider a gift of your professional services (e.g. engineering), or supplies. Please give generously and help us spread the word! More than 1,000 kids are hanging their summer camp hopes on us….let’s make this happen! 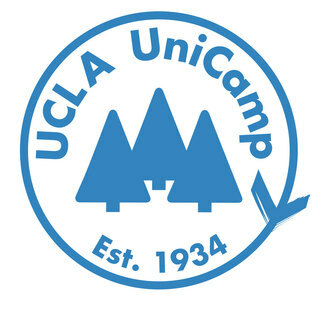 AS A UNI CAMP COUNSELOR FOR TWO YEARS, IN THE LATE 1950s, I HAD EXPERIENCES THAT CHANGED MY LIFE AND THOSE OF MY CAMPERS. TO THIS DAY, I STRONGLY SUPPORT THE VALUE OF THIS UNIQUE CAMP. IT IS MY TOP PRIORITY IN CHARITIES. In memory of Lyle W. Timmerman. I loved my time up there. Ngan and I hope this helps.